It’s the event that so many look forward to all year round. Dedicated fans come from all over the country to flaunt the well-planned costumes and join the merry crowd at what is the biggest and best party of the year. 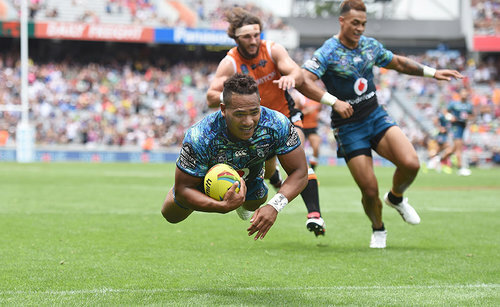 It’s the NRL Auckland Nines on the 6th and 7th of February 2016. 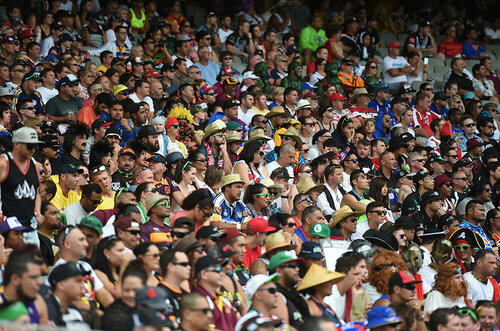 For two full days over Waitangi Weekend, the NRL Auckland Nines is the place to be. Rugby supporters and party goers will flock to Eden Park for the nine-per-side tournament to see 31 action-packed games alongside like-minded fans. With a party as big as this one, it is crucial to plan your transport to and from the venue well in advance. Be responsible and ensure you and your friends arrive home safely after a big day of fun in the sun. Party Bus makes this easy for you. You will not only get to and from the event safely, you will do so in style. The official tournament draw has been released and it really is a battle of two nations. Teams will be knocked out one by one as the best teams from Australia and New Zealand play hard to compete for the 2016 title. We will see some thrilling tries, especially as the final draws near and team numbers slim down to two. And it all comes down to the final; the 31st game at 6:40pm on Sunday 7 February. Who will take it out? Organisers have really listened to the fans this year by implementing a few new changes. 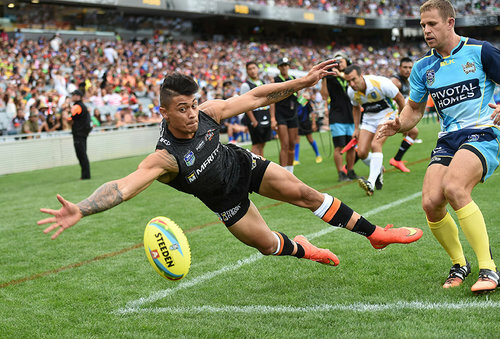 From the ticket prices to the beer selection, those attending the NRL Auckland Nines will not be disappointed. The feedback from fans has been the driving force behind the changes which goes to show how much organisers value their opinion. Teams will also be giving back to the community this year by visiting junior clubs. Have you got your costume? It has become a long-standing tradition for fans to adorn creative costumes and each year the ideas become more and more imaginative. The stadium will be brightly lit with thousands of colourful and passionate fans who truly make the NRL Auckland Nines the fantastic event that it is. For some, it takes months of planning to come up with the most whacky and original idea. It becomes a show in itself just to watch the crowd arrive to see the lengths they have gone to in order to stand out from the rest. 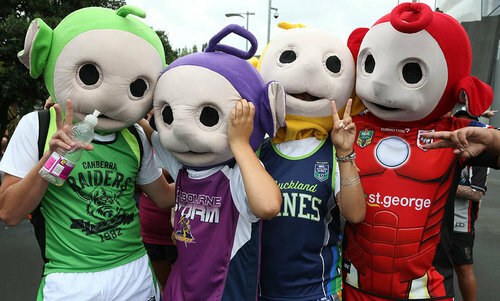 Although it’s not compulsory, it’s great fun to get involved in dressing up for the NRL Auckland Nines. It makes it even more of a memorable experience to feel part of such an exciting atmosphere and there is plenty of prize money to be had! When it comes to transport, it’s all about getting there in style and having fun on the way. And if anyone is going to ensure you do that, it’s the team at Party Bus. With options ranging from standard to premium, Party Bus will have something to suit you and your friends. From the moment you step inside the bus, the party begins and there is no better way to warm up for a great event such as the NRL Auckland Nines than onboard a Party Bus. Our premium buses can accommodate both smaller groups of 20 to larger groups of 75. Each of our Party Buses are unique in their own way and have exciting things to offer. 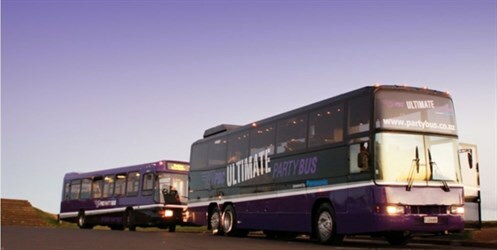 The Premium Party Bus – the only fully licenced vehicle in our fleet with a BYO option available. Enjoy music, disco lighting and a dance floor on your way to and from the venue. The Double-Decker – it’s big, it has two levels, and it can seat up to 75! Be transported to and from the venue in comfort with as many of your friends as you like. The Rock Party Bus – the newest of our Party Bus fleet, the Rock was launched in 2013. It’s fully licenced and offers plenty of space to dance and have a great time. With plenty of seating, the Rock can accommodate up to 41 people. Our luxury vehicles are venues in themselves. With so much to offer, they are an exciting mode of transport. You will be entertained from the moment you leave your pick up point fleets from our luxury range are fully licenced, spacious and well-equipped with music, lighting and plasma screens. The Ultimate Party Bus – with the comfort of a limousine and the capacity of a coach, the Ultimate Party Bus will be all you need and more. Whether you want to sit back and relax or get up and dance, the Ultimate Party Bus will let you do as you please! 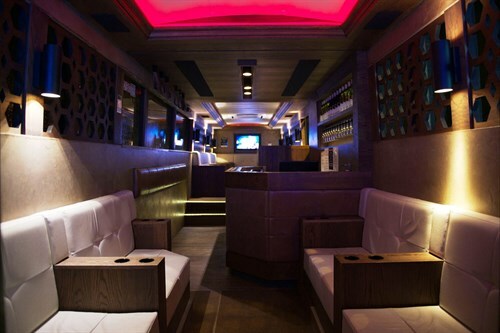 The Viper Lounge Coach – if you want the best of the best, this is the Party Bus for you! With a personal host and lounge seating, the Viper Lounge Coach really has the X-factor. Looking after yourself and your mates will be a breeze with the right transport to take you all to and from the venue. We know all about how to handle big events, so book with Party Bus today and rest assured that we will get you to and from the NRL Auckland Nines safely whilst having a great time!